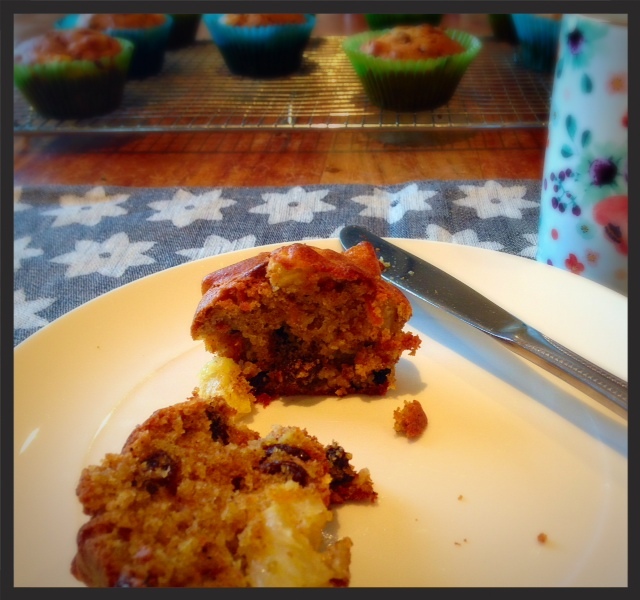 These muffins are a bit of a triumph given that I’m not a big fan of either carrot cake or raisins. 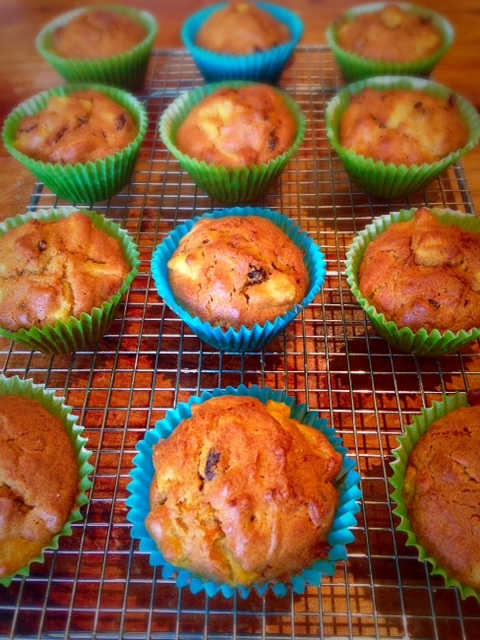 They are truly delicious – moist, moreish and actually very healthy. They’re made with a mix of wholemeal and plain flour, two large grated carrots, a tin of crushed pineapple and 100g raisins. I also substituted the 100g sugar for 75g Sweet Freedom fruit syrup. I’ve been making them ever since the kids were toddlers, as it’s a recipe from Annabel Karmel’s Baby & Toddler book, and my kids still love them even though they are way beyond toddlers now. It’s a chance to eat cake for breakfast – what’s not to love?! As it’s not my recipe, you’ll have to click here to find out how to make them. But I can tell you that I’ve carb-counted them! A batch of 12 makes them 26g carbs each. (Total for the recipe is 310g carbs). Drop me a line and let me know what you think below. Annabel Karmel’s baby book! Now there’s a nostalgia trip! I used to spend Sundays making exotic purees and freezing them in ice trays! These look fab. Not sure if we can get that syrup in Oz but there must be something similar! Are your clan going to rustle you up a birthday cake?